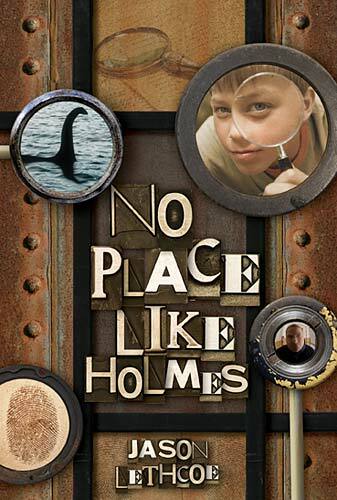 Preteens and teens who are fans of Sherlock Holmes, or just love a good mystery story, will love this book, I think. It is not only well-written and fast-moving, but it also deals with some human issues, like family relationships, jealousy, pride, courage and love. The story is about a boy who visits his uncle and ends up embroigled in a mystery featuring the moster of Loch Ness! It also involves the great Sherlock Holmes at some point, although he is not the main protagonist of the book. At the end, the readers get to solve two bonus mysteries (the answers are at the back of the book) and to answer a quiz which lets them know whether they qualify to become the next great detective. The hero of the story is a boy named Griffin Sharpe, and he is a very clever, observant boy, with a kind heart. I loved him as a protagonist and a role-model hero for young readers. With his skills he manages to solve the mystery and with his warm heart he manages to completely transform a bitter, lonely old man with whom he works. This was the part of the book I expecially loved. The only problem I had with this book was the mention of God. Yes, God is mentioned in this book and we are often reminded that the boy, Griffin, totally believes in God and is shocked to find out that his uncle doesn't. By the end of the book, the uncle seems to be changing his mind, due to Griffin's occasional cries from sithing the throes of danger "help us, God!" and "Oh, Lord, what do we do now? Tell us?". I found this absolutely wrong and disgusting, especially since Griffin promptly forgets all about God as soon as there is a headway in the mystery they are trying to solve. It read as if God was an afterthought, or even being mocked, which I doubt that it was the author's purpose, but still it was rather ridiculous. I wish God had been left out of it instead of being mentioned a few times like a magician who would help them when they were about to die. That's why this book is rated less than 5 stars. Otherwise, a good read for children and teens. There is no girl in the story, so you might say it is a book for boys, but I know I am a girl and I liked it and would have if I was still a preteen. I read it on the NetGalley, and am considering purchasing it for my brother who is 14. I have this one on my TBR list too - got it from NetGalley - haven't started it yet. I might have a teen boy read it instead to get another perspective - considering your review. Thanks. yes, that would be a good idea, Beverly. thanks for commenting!